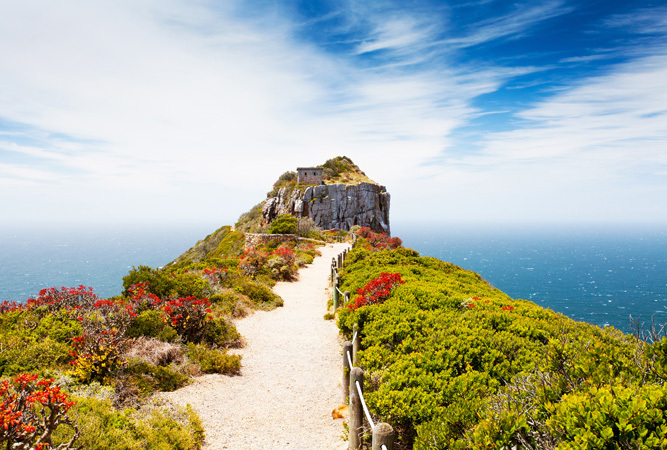 For a weekend with a difference why not do the Cape of Good Hope Trail? If you are a Capetonian you needn’t even drive far from home, the trails are literally on your doorstep. The Cape of Good Hope Trail is a 34km circular route that starts and ends at the entrance gate to the Cape of Good Hope. Secure overnight parking is available here so your car will be safe while you enjoy a two day hike with an overnight stay at one of the Rooikrans cottages. Stop off at the Visitor Centre as there is to recharge and refill your water bottles etc. Then continue on to Rooikranse. The first day of hiking is about 13 km and there are spectacular views – the contrast between the awe-inspiring scenery and the mighty ocean and cliffs is dramatic – and time spent photographing the scenery will keep the memories alive for years to come. After overnighting in one of the overnight huts, you set off again the following day on about a 20 km hike that follows the Atlantic coastline to Pegram’s point, Platboom, Hoek van Bobejaan and then turns inland to Sirkelsvlei and ends again at the Main Gate. 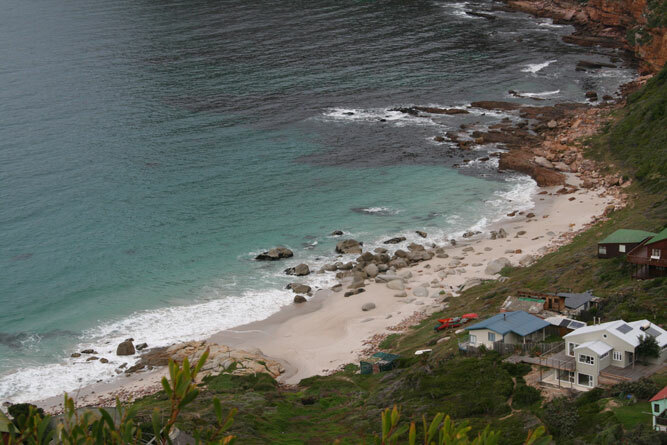 The hike passes through Fynbos trails, over scenic, deserted beaches. Comfortable accommodation is offered in three cottages, each of which sleep six. The cottages are equipped with cutlery and crockery, but you will need to bring your own bedding. The cottages have showers and are also solar powered so please use electricity wisely. All cottages also have braai areas and wood purchased at the gate will be delivered to your accommodation by park staff. Please be aware that baboons are found in the area so caution should be taken. (you need to close cottages securely and do not leave food and belongings lying around). 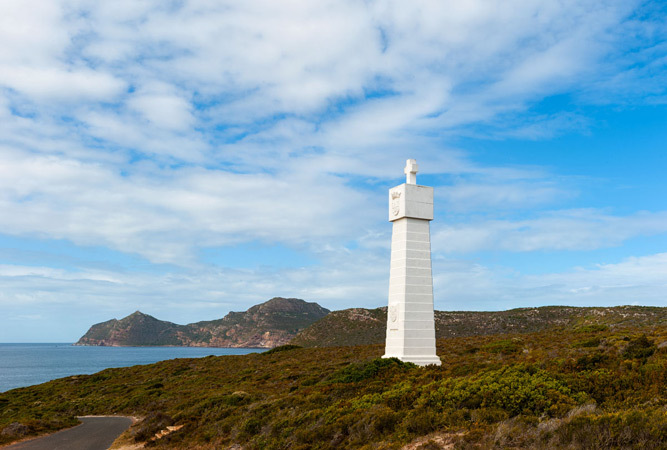 The rates for the Cape of Good Hope Trail are R150 per person during the summer months (1 September to 30 April), and R120 during winter (20 May to 31 August). These rates cover both the daily conservation fee and accommodation and should be paid on arrival at the main gate. The gates to the park open at 6am during summer and 7am during winter and entry will not be permitted before this time. In order to finish the trail during daylight hours, you are requested to start the hike before 9am and depart from your overnight accommodation at 9am on day two of your hike. 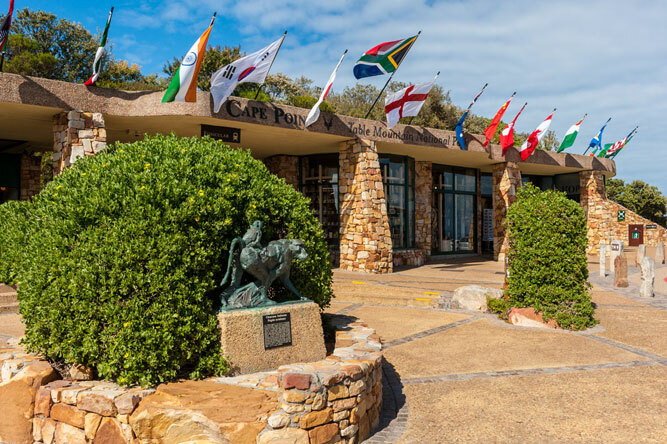 Bookings can be made through the Buffelsfontein Visitor Centre on 021 780 9204 from Monday to Thursday (9am to 4pm) and on Fridays between 9am and 3pm. If you don’t have enough time to spend two days hiking, there are plenty of shorter trails – see our provious article on Table Mountain Hiking Trails for a few ideas.